I've been trying to make myself eat a bit healthier during the week recently (me and bathing suit season have a love-hate relationship) and last Sunday I made some stuffed peppers that I was able to eat for a few days that were delicious, loaded with veggie goodness and also almost entirely carb free! 2. 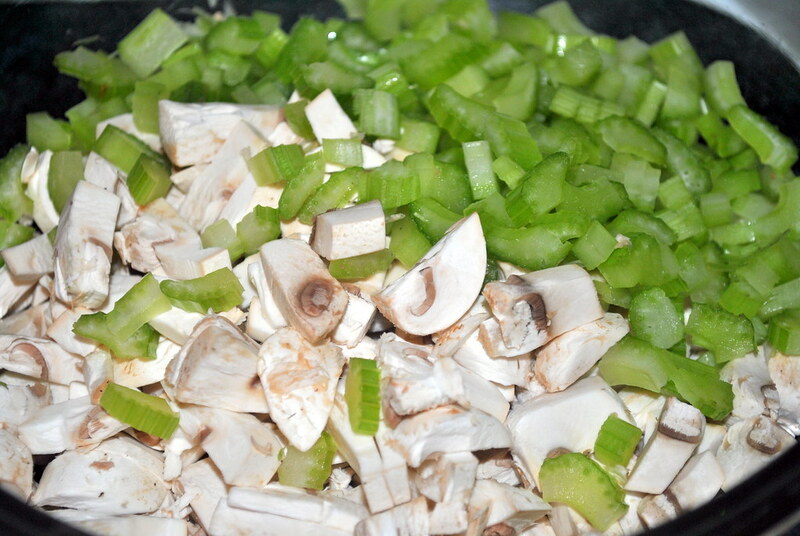 On stove-top, sauté mushrooms, onion, celery and garlic in olive oil on medium heat until veggies are soft (about 10 minutes) then set aside. 3. In a separate bowl,combine turkey, egg, garlic powder, Italian seasoning, salt and pepper. 4. 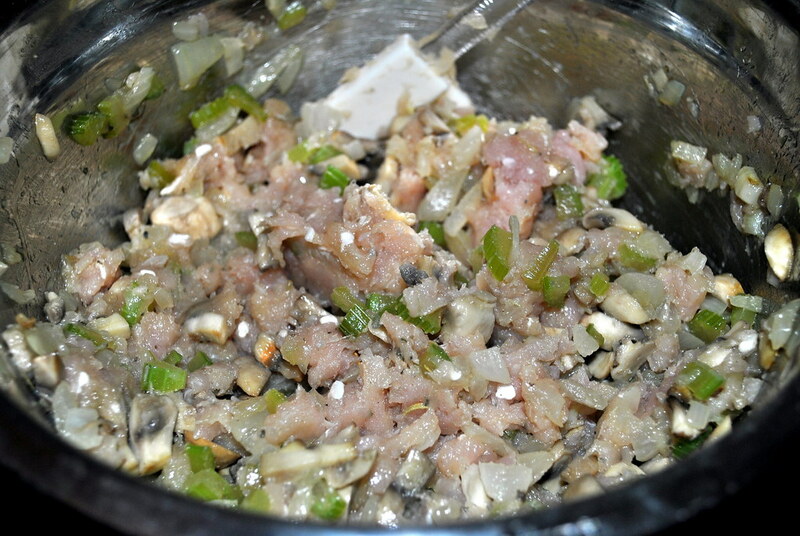 Add veggie mixture to turkey mixture and mix well. 5. 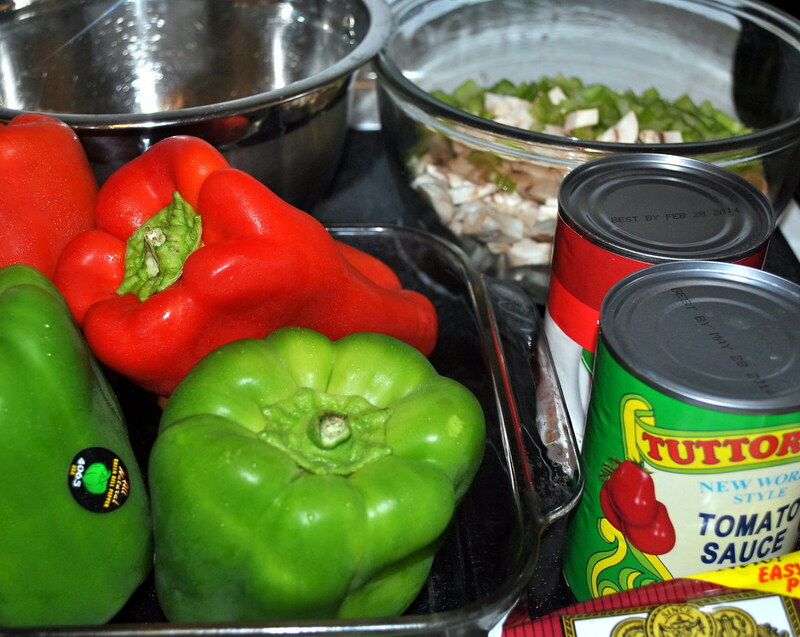 Stuff peppers with turkey/veggie mix and place in a casserole dish lined with tinfoil. 6. In a small bowl, combine diced tomatoes and tomato sauce,then pour over peppers to cover. 7. Cover with with aluminum foil and bake for 50 minutes. 8. 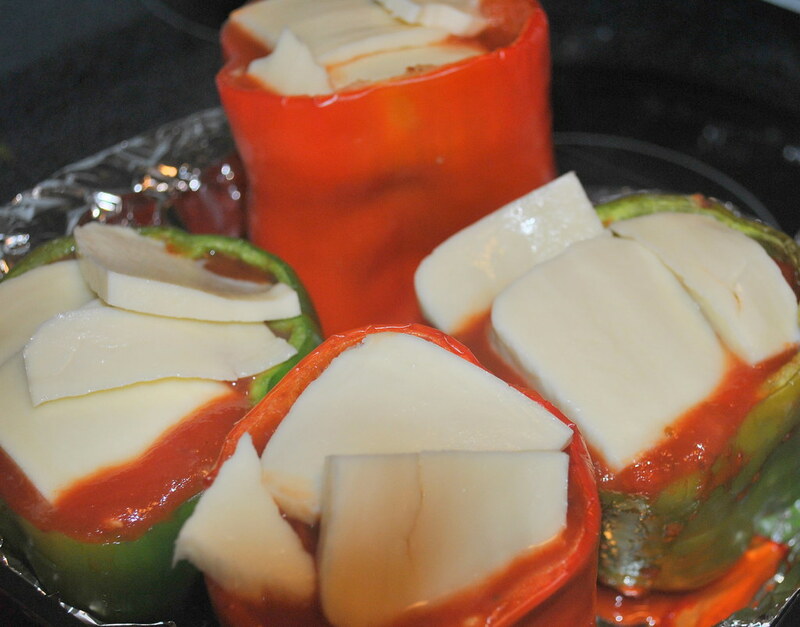 Take the foil off, cover with mozzarella, and bake for an additional 10 minutes or until cheese is bubbly and browned. Those look delicious. I need to be eating myself more veggies and fruits too. These look delicious! My grandmother makes something very similar. I actually think they taste better without the rice anyway. YUM! These look delicious. I'll have to give them a shot! oh my god! the cheese on it looks amazing!!!! 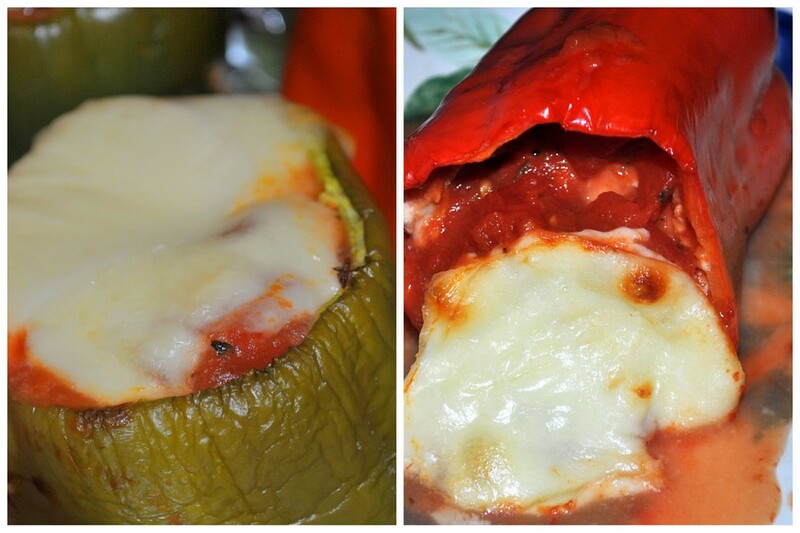 I love stuffed peppers - these look so tasty! Look at you with the grain-free deliciousness!! Yum! This looks so delicious and seems really easy to make! Those look soo tasty! I love making stuffed peppers too. I made a yummy low carb din last night too that I plan on posting about soon. Stay tuned! These look delish! 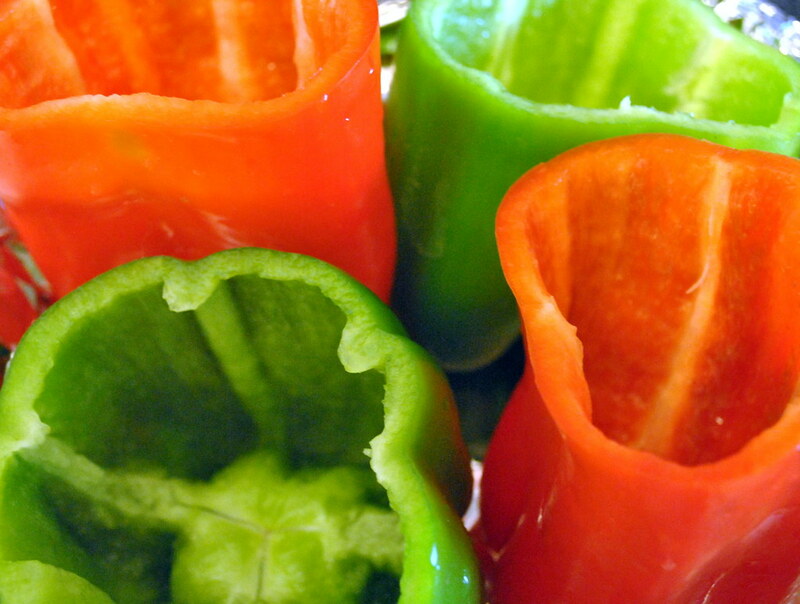 I love anything with peppers and if it's semi healthy then I must try it! YUM!!!! These look SO good. I am making these for dinner tonight! I love stuffed peppers so so much. those look soooo good! I love stuffed peppers and I haven't had them in forever! this is such a great recipe, i prob need to start paying attention to the amount of carbs i eat haha i wanna try this! yum yum yum! thanks for sharing this recipe! I love stuffed peppers! These photos actually made my mouth water. Looks yummy! Those look delish! Tried stuffed peppers months ago for the first time and they're good. I'm going to have to try this healthy recipe!! So yummy! 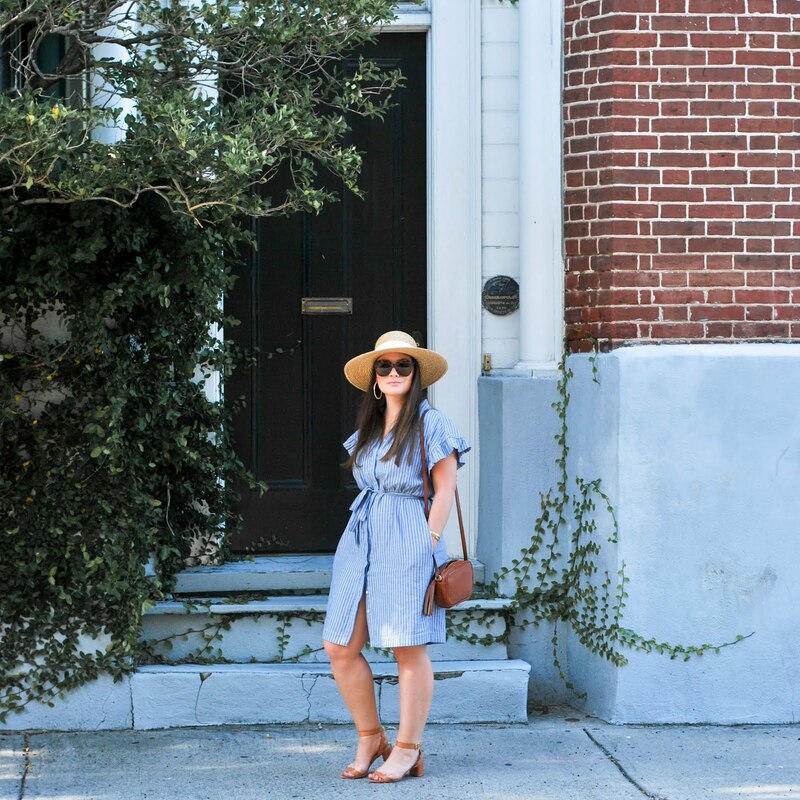 :) thanks for sharing E! And she can cook! This looks amazing! I'm gonna have to try this recipe!! It looks delicious!! these looks so good! im going to attempt! !